I am so glad some people do what they do. And I am so glad I had the sense to watch that clip before I went to work, when no one else was around and I could squawk and guffaw and shed my own tears of hysteria freely without the need for censorship. 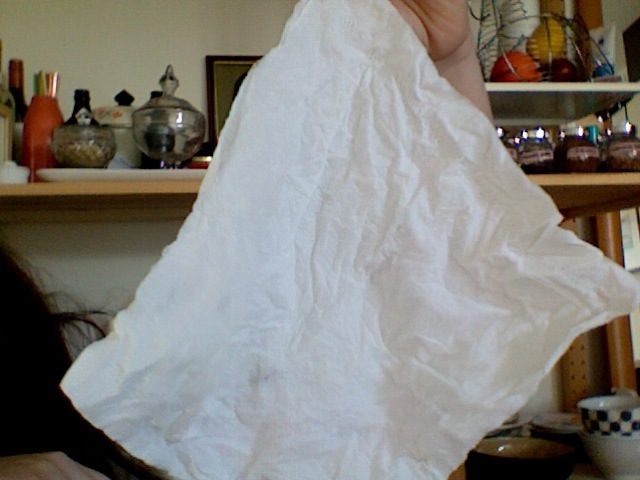 This is the actual tissue I used to dab the hysterical tears from my cheeks. And this is the song I'm going to be listening to all afternoon. Have a good weekend, Crab friends.